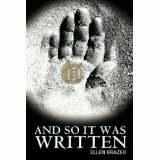 Ellen Brazer is an award-winning author, and the recipient of Hadassah’s prestigious Myrtle Wreath Award, an award previously won by the late Mia Angelou. 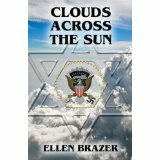 Her book Clouds Across the Sun has been listed on Amazon under the best Holocaust related novels. And So It Was Written premiered as a bestseller under Jewish Literature on Amazon. In the past three years Ellen has spoken to over 6,000 people at venues throughout the country. Two of her short stories appeared in the Carnegie Melon Anthology. She has recently had the honor of being invited to join the Jewish National Fund Speakers Bureau. Ellen’s newest book is The Wondering Jew, My Journey into Judaism. The topics Ellen has chosen to speak about in her presentations are Reincarnation and angels. Even though Ellen Brazer has written three very different kinds of books: one Holocaust related, one ancient Jewish history and one non-fiction, one thing remains constant in her books; a deep and abiding love for Israel and the Jewish people. She lives in South Beach with her husband Mel. Between them they have six children and 13 grandchildren plus, plus, Plus! 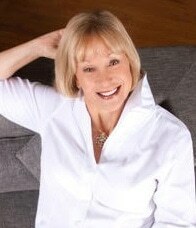 Purchase a signed copy of ellen brazer's books by clicking below!